The REV’IT! Burn Jacket is going to be one of the best go-to's for a commuting rider, city rider, or someone who wants to walk down main street without looking like a robot after hopping off their bike. The styling is on point and the fact that this jacket is actually functional sets it apart from other casual motorcycle jackets. The Burn Jacket comes with a removable thermal liner and Hydratex liner to protect you from the elements. Knox CE Level 1 Shoulder and Elbow Armor is included in the jacket, but if you want to add some back protection, you will need to purchase the Seesoft CE level 2 back protector insert separately. It is a softshell construction so it will be comfortable too. 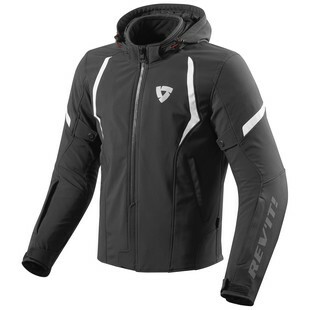 Like I said, it is a casual, functional, stylish jacket that will make blend in whether you are on or off your bike.